At the interview, the Corporation stressed that it was the “best of the best” of “medical” marijuana dispensaries. I walked away with the impression that this was a prestigious, caring and altruistic organization. The Corporation certainly had sufficient financial backing that was reassuring. There were over 800 applicants and I was 1 of 25 who stood out, made the cut, and was hired. Before starting work, and giving up my job as a Physical Therapist, I completed my pre-employment paperwork. The last document I signed was a 5-page Non-Disclosure Agreement. This intimidating document threatened me with a $100,000 fine and criminal prosecution. I experienced a queasy feeling in my gut reading it. Was this really necessary for a $15/hr. budtender job? However this was my dream job, my destiny, so I discounted my intuition and signed. Those early days in the dispensary were truly amazing. I felt that I was a part of something far greater than myself, like I was on the ground floor of mankind’s great awakening. When we opened, patients emotionally would tell me how much it meant to them that marijuana was now legal. Of course I empathized. The Corporation explained that there were people and industries against “medical” marijuana, explaining away any current and future bad press. On opening day, the dispensary had no non-THC (high effect) products. Where the heck was the CBD? CBD (cannabidiol) is non-psychoactive (provides little to no high) and is known as the therapeutic cannabinoid of the marijuana plant, compared to THC. Why did my Corporation focus on high THC products, and put a 34% THC flower on the opening day menu? However, not many patients asked about the CBD. In fact the, the products with the highest THC level available always sold out first. 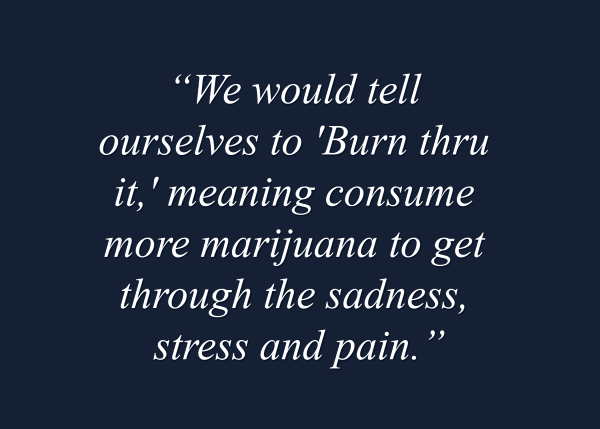 Most of us budtenders were also “medical” marijuana patients. We noticed that products such as the vaporizer cartridges tasted terribly and made us cough. The first three months we noticed that the buds were not what we were accustomed to — small, hard and harsh tasting. I thought that the guys at the cultivation center were terribly clueless growers. I didn’t know what their problem was, but management told us repeatedly that the flower would improve soon. However, instead of improving, month after month the bud had a worsening harsh chemical taste. Patients, co-workers and I began to experience headaches, allergic reactions, wheezing, rashes, dizziness, itchiness, and respiratory infections after smoking and vaping it. All of us had nausea and irritability, but of some of us also had numbness of our tongues. The Corporation determined it could provide better customer service, if we had the “opportunity” to work in the cultivation center. The first day I worked stuffing the pre-roll joint cones. Of all the products we sold, patients at the dispensary complained the most about the joints, and though all joints had 1.2 grams printed on the label, they actually ranged in weight from .75 to 1.9 grams. I was given 2 bags with different batch numbers and told to put some of each into a blender. This was a cause for concern for each of the marijuana bags had a different batch number, meaning different plants and different testing results. I was not impressed by this romper room production of joints. By the end of the day my face was itchy and my breathing adversely impacted, however I fared much better than my co-worker whose job it was to pack marijuana in the machinery for BHO (Butane Hash Oil/concentrate) production, resulting in a crimson, inflamed rash on the entirety of his face and neck. Day 2 for me in the cultivation center was trimming. 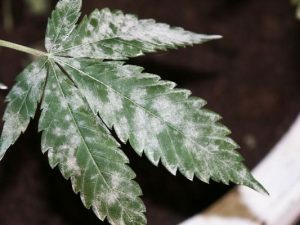 I found powdered mildew/mold on many of the buds of the first cut plant I held. Given that this was supposed to be a “medicine,” I presumed that the plant would be put aside and destroyed. If contaminated, these buds would be hazardous to human health and potentially lethal. I approached the harvest supervisor. She told me to “cut around it (the mold)” and to put the moldy buds aside as BHO production would “take care of it.” I spent the next 8 hours trimming moldy plants without being given a mask for protection. By the end of the second day I couldn’t breathe, after trimming all those moldy plants. My respiratory issues continued for awhile. I started to notice other unsafe practices. 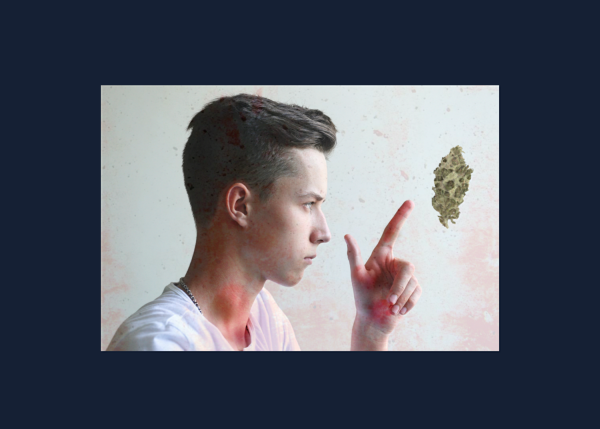 Sometimes containers for two joints would have their lids inadvertently switched, resulting in patients ordering a high CBD/low THC strain receiving a high THC/low CBD strain and vice versa. If this was a true “medicine,” we were giving patients the wrong prescriptions. However we did nothing to alert the patient of the error. We were told that the state labs could not adequately test edibles, so in actuality the kitchen had to put in up to double the amount of concentrate in order to get them to test at certain potency. We were instructed not to divulge this information to patients. 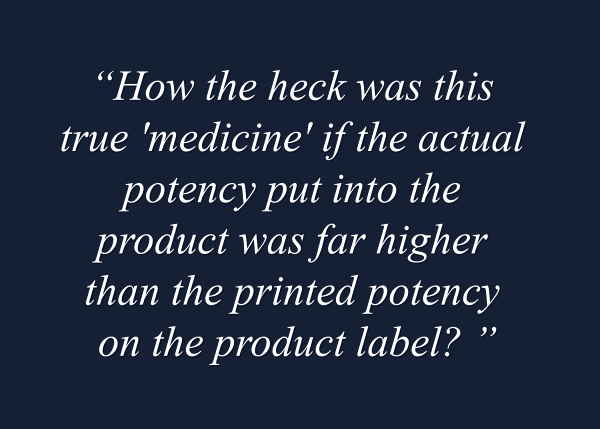 How the heck was this true “medicine,” if the actual potency put into the product was far higher than the printed potency on the product label? I started to worry about my elderly or “less experienced” patients overdosing on an edible. One day the Colorado “Consultant” arrived to educate us budtenders about our new CBD products. 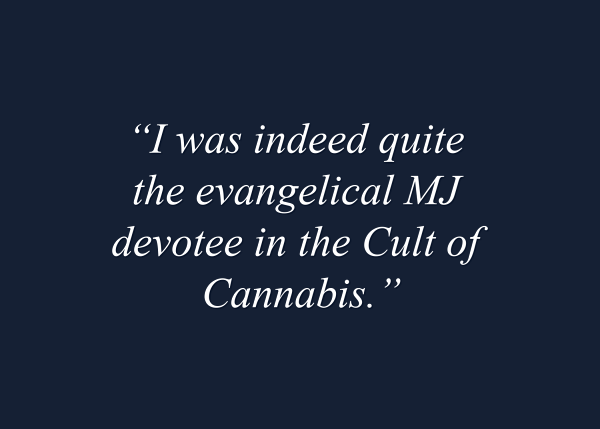 He told us that the new CBD products were made from “out-of-state, synthetically-derived hemp crystalline. Say what?! What the heck was “synthetically-derived hemp crystalline”?! Purist budtenders like me were horrified. As a “medical” marijuana dispensary, patients expect us to grow the marijuana plant to make our CBD products. Now we were outright ripping off patients. Our products were expensive, and hemp CBD products can be purchased at health food stores for a much cheaper price. Patients were presuming what I had once believed, that our Corporation’s products were the highest quality plant based “medicine”; after all, the Corporation touted itself to be “the best of the best” of “medical” marijuana dispensaries. Though I perceived my Corporation’s unethical behavior, I did not perceive it as harmful, for all products had passed the supposedly “stringent” lab testing. I was losing faith in my Corporation, but not in the Commonwealth of Massachusetts, renowned for its overregulation. One morning in a meeting, two budtenders in their 20s described acute onset of adverse neurological effects after ingesting the “synthetically -derived hemp crystalline” CBD edibles. One described going into alarming convulsions, and the other experienced onset of an intense headache and TMJ pain that continued to remain present. How could this be? We budtenders learned that those who continued to voice concern about questionable and unsafe practices were targeted and terminated. So I was silenced and afraid, trapped by the Non-Disclosure Agreement that threatened me with a hefty fine and possible incarceration. The dispensary had an extremely stressful, chaotic and hostile work environment that would often cause workers to breakdown and cry. 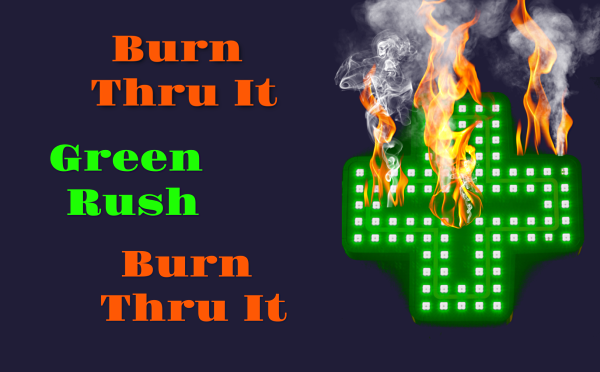 The dispensary management would tell us budtenders, “Burn thru it.” Co-workers would tell each other, “Burn thru it.” We would tell ourselves to “burn thru it,” meaning consume more marijuana to get through the sadness, stress and pain.